We've already brought you our first part of a feature looking at the confusing world of Mega Man spin-offs, and now we're diving into some lesser known adventures from the Blue Bomber's universe. If you've played all of these then we can say one thing with confidence — you're a big fan of the franchise. Consisting of only two games, the Mega Man ZX series feels like a footnote in the franchise's history, but both of those games are unique enough that they're unquestionably worth playing. Taking place long after both X and Zero have fallen, Mega Man ZX finds the human race rebuilding after centuries of endless war. As such, there's a greater sense of civilisation here than has ever been felt in a Mega Man game. In Mega Man X we watched it fall, and in Mega Man Zero we helped small pockets of humanity rebuild. But here we see society back — more or less — in full force. In order to reflect this, we play for the first time ever as a human being. In each of the games we have a choice between a male and female character, each of which plays slightly differently and faces unique story elements and side quests. Playing as a human, however, wouldn't be much fun, so ZX introduces the concept of Biometals. By defeating bosses you earn these Biometals that allow you to take on additional abilities. These abilities mirror those of the characters from the previous two series, essentially allowing you to play as past bosses. The second game, ZX Advent, takes this even further by allowing you to transform into the bosses you defeat in that game. Needless to say, it's a lot of fun, and different characters react in different ways to you depending upon which Biometal you have equipped, leading to lots of secret dialogues, bonus items, and side quests that encourage experimentation. The most interesting thing about ZX is its environment. Whereas the first Zero game toyed with the idea of an open world, ZX offers a Metroid-like experience in which the abilities you gain from Biometals allow you to gradually explore the map and its secrets. What's more, when you accept a mission you don't — and can't — teleport there directly...you'll need to find your own way to the boss, and depending upon where you are at the time that can make for an interesting trek. This open world, however, was the cause of much criticism of Mega Man ZX, with objectives being hidden so well that players had a difficult time finding them, even after hours of wandering. Mega Man ZX Advent refined the system in a way that made objectives easier to find — and the map easier to read — but it also sacrificed the impressive openness of the first game's world. Together they form a flawed little series, but they're also so much unlike anything that came before that they're worth a look. And — do we really have to say it at this point? — the music is absolutely incredible. Believe us, readers, we also wish we could have written 2012 instead of 2000 there, and the cancellation of Mega Man Legends 3 hit us as hard as it hit anyone. However, that doesn't change the fact that we still have two great main games (and one spin-off title) under the Legends banner, so let's try to be grateful for what we have, and not let our rage consume us totally. Set several thousands of years after the Mega Man ZX series (Mega Man sure covers a lot of ground, doesn't it? ), Mega Man Legends finds us on an Earth full of water and Wind Waker-like islands, and the world we explore is a three-dimensional one that works far better here than it ever did in Mega Man X7. Upgrades are accomplished through an in-game shop, with Refractor Shards serving as the currency here, as opposed to the bolts of the classic series and the energy chips of Mega Man Zero. There's also a more complicated set of interactions that the player can have with NPCs, as behaving rudely towards them will actually cause them to treat you differently and charge more for items. Perhaps the most enduring aspect of the Legends series, however, is the Servbot, a Lego-like robot that can be programmed to do a multitude of tasks. Its versatility has served it well — pun intended — as the Servbot has had cameos in many non-Mega Man games since, including Dead Rising and Onimusha 3: Demon Siege. For the first time ever, a Mega Man series embraced a full-on RPG approach...in an alternate universe. The main character is a human being living in a very human — though technologically advanced — society, and the robot fighting action we're used to enjoying is played out online. Your avatars are referred to as NetNavis, and the equivalent of a super fighting robot is no longer Mega Man, but MegaMan.EXE. With turn-based combat and random encounters sprinkled throughout the series, Mega Man Battle Network met with mixed reviews. For many, it was a welcome evolution for a favourite franchise. For others, it was a needless and dull misstep. Regardless, Battle Network (and its successor) has its fans, and was able to coast on a sense of joyful nostalgia due to its inventive reimagining of Classic series bosses. 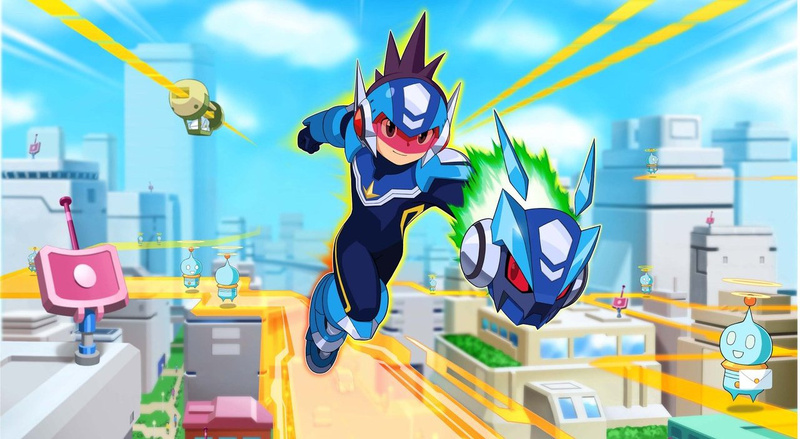 Building upon the alternate universe framework set by the Battle Network series, Mega Man Star Force otherwise stepped away from the nostalgic pulse of its predecessor. While its battle mechanics and overworld were similar enough that fans of the previous series would quickly learn their way around this one as well, there was a deliberate attempt on Capcom's part to distance Star Force from any other series. As a result, there are relatively few references to any of the previous games. It's perhaps due to this fact that Star Force found notably less popularity among Mega Man fans. Whereas Battle Network was able to retain gamers who loved previous titles in the franchise, Mega Man Star Force disavowed almost all relation to them, and decided to build its own world for the characters to inhabit. The results are mixed, to be sure, but it's certainly the bravest side series Mega Man has ever had, working overtime to forge its own name and not become beholden to the promises and mythologies of the multiple series that came before. It's enjoyable in its own right, but perhaps only in its own right. It feels more like a relatively simple RPG than it does anything to do with Mega Man, so depending upon your perspective that's either a great boon, or an enormous liability. Phew, so much Mega Man. We hope you've enjoyed our series of features on the Blue Bomber, and by all means sound off on all-things based on the series below! Very interesting articles, Philip. I didn't realize just how many facets there were to the Mega Man franchise. I hope to give the Zero Collection a try soon. Still Think the first mega man series on NES were the best! Fun read as always, Chicken! I have only played Legends but I did enjoy it. Hopefully someday MML3 will see the light of day. As for Battle Network and Star Force; I dislike Battle Network and hate Star Force. My little brother really loves BN though. I just didn't like most of the redesigns in that series. It was a good series though. Mega Man Battle Network was an amazing experience if you owned all of them with the right mindset. The first game was great, and the others just expanded it. If you stop thinking of it as having 6 (7?) almost identical sequels, and start thinking of it as one huge very good game, then it is great. My only problem was the ridiculously high encounter rate. Mega Man Legends was one of the worst things to ever happen to Mega Man. Capcom did you all a favor last year. JW NL - Is Nintendo of America being lazy on press release for the eShops today? You usually have that up by 10amCT. Also, did they give you info on when we can download TVii and how it needs to be downloaded - either through a system update or just by going into the TVii app I'd surmise? ZX Advent is one of the worst Mega Man games. Full of terrible level design, horrible transformations, and a boring story, there is nothing redeemable about it. ZX is just average. Legends is underrated, though. I really would have dug a third entry. I wanna see another star force game. I was a huge fan of the battle network games, but the star force series just seemed that much better! Oh man. I LOVED ZX. I'd say Advent was average...but not in a bad way. ZX though...I like that almost as much as I like the Zero series. Thank you for these articles. When I was younger I really enjoyed the original series and the X series but with so many subsequent games and genres it got very confusing to be a Mega Man fan. It kind of pushed me away from the series as a whole other than playing the old games. I've recently been looking at some of the games I've missed in the original and X series and am even considering trying some of the others. Zero and ZX have my attention but I may even try getting into Legends. Am I the only one who LOVED the StarForce series? I see some BN fans, but no SF fans? Also, the Zero series was amazing! @Chrysalis Nope, SF and BN were both great. I prefer the modern-dayness of BN just a slight bit more, but I really love SF, too. Never did get into the ZX series, though I was a big fan of the MegaManZero series, played at least 1-3 all the way through. Kinda lost interest on #4. Anyway the music is at least great in ZX1, I actually have the Japanese soundtrack for it. Maybe I'll give it another try over the Christmas break. I LOVED the Megaman Legends series. Played MML1, MML2, and Tron Bonne to death. Flawed, yes, clunky graphics, yes, not at all what I expected the series to be, yes, and yet I still love them all to death. They turned out to be great games despite the hindrances. The cancellation of MML3 is really a dam* shame, it absolutely would have been awesome, an extremely welcome addition to the series, and could have been a great title for 3DS. Ah Battle Network, very fun although very different from the regular MM games. The first one desperately lacked a map system, the second one fixed that and the third one was just more of the same (and impossible at the end) but they were pretty fun games all in all. After that who knows, it had already gotten too repetitive for me. But hey maybe 5 would be worth a toss, I did buy it for DS I just never played it. My favorite games are without a doubt the Megaman Zero ones. Hey, what about Mega Man Soccer? @MasterChordles Yep. That was awesome! @ouroborus Actually, BN 3 is often considered to be the best of the BN series. I would've been totally fine if BN ended at 3 (even though 6 was AWESOME)! Also, I love how different the 3rd SF felt from the other two. If you can pick it up used, then definitely get it. What about Xover, does that even count? 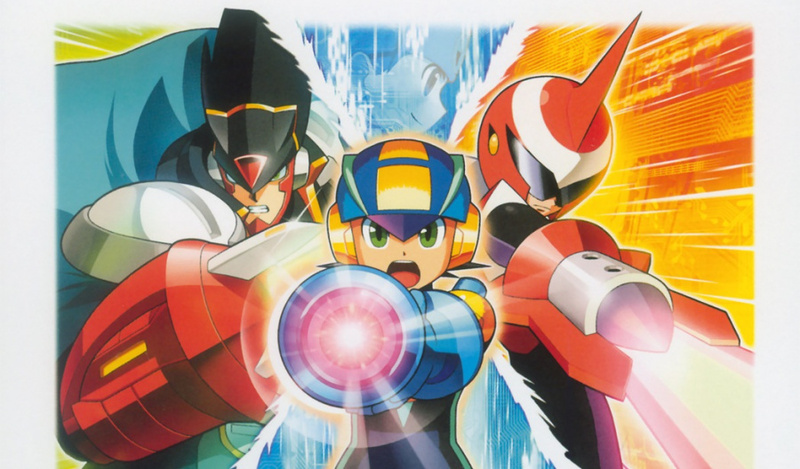 @burninmylight: It was stated in a previous article that one shot games like Megaman Soccer werent going to be covered. Great feature Phil. Reading theses articles the past few days have brought back great memories. Because of you I am going to have to go on a Megaman fest this weekend. Oh and I have to say I never heard of the ZX series I might have to look into that. Great reads! Although, I think you could have delved into the Mega Man X series more since it's more extensive than the Mega Man Classic series. 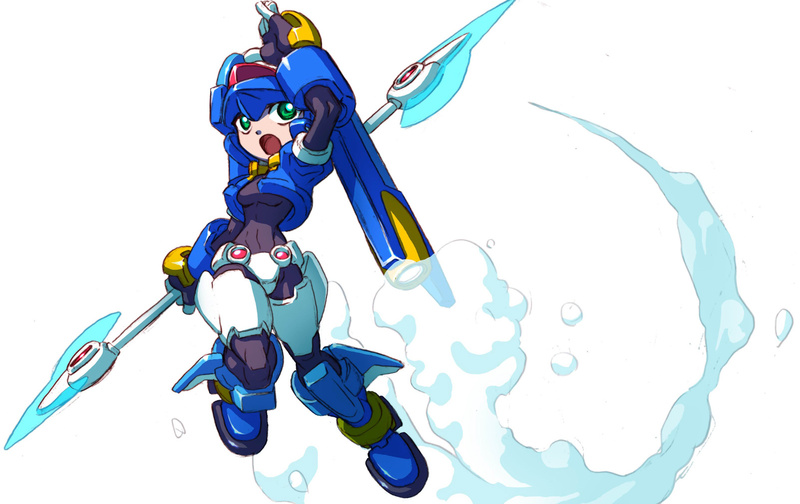 And you left out MMX: Command Mission which was the dedicated RPG to the X series. Overall, I thought your Mega Man review started out strong with Classics pt.1, but then the remainder felt rushed. I don't think it would've strained you too much to include Mega Man Soccer somewhere. Mega Man Soccer displayed how (at one point in time) Mega Man was the "Mario" of Capcom. Capcom made reasonable attempts to expand Mega Man into other genres to tear down the isotropic walls as Nintendo had accomplished with Mario. Btw, Mega Man Soccer was so much fun!!! Especially if you're a fan of the Classic series. Also a mention of MM: Powered Up and MM: Maverick Hunter would have been a nice accent to your review series. I understand the task of covering the Mega Man universe is challenging, but there seems to be a lot of Nintendo Life readers who have never experienced Mega Man, and I think there was more history you could have introduced to them. Because a lot of Nintendo Life readers are unfamiliar with Mega Man, they don't understand the pain and backstabbing felt by Capcom's treatment of Mega Man this past year. Before Resident Evil or Monster Hunter, Mega Man was more than the face of Capcom, he was Capcom's Mario. If they could imagine Nintendo treating Mario or Link the way Capcom has been treating Mega Man, then they can begin to understand that for Mega Man fans it was more than cancelling a video game or releasing a watch-thru game; it was Capcom throwing their mascot under the bus. Yes, Mario is the face of video games now, but for some of us, Mega Man is our Mario. I love the Megaman ZX games. I think all the Megaman games that aren't classic or early X are underrated. I love the Battle Network series. Oohh the Nostalgia. This was a Great read Philip! Just like the 1st one! Heh, I've only been a fan for a few months and I already knew about all these. I can't believe that I got into the Mega Man series when I usually hate games that are really hard. I wonder how much easier the Anniversary Collection's Easy mode makes the game? Oh, and just some thoughts on MML3...Honestly, I can see how a game with THAT much input from the fans could end up crashing and burning. I'm sure many Mega Man fans had good ideas, but I'm sure many more...didn't. And besides, how could they have possibly agreed on anything? I mean, look here on this page...some think the ZX series was awful, while others love it. With the exception of ZX (which had only two games) we didn't make an effort to discuss every game in each series. The article was long enough as it was, so we went with a basic overview. As a result, some great stuff had to be glossed over. Battle Network was my childhood. Nuff said. Sooooooo much fun with friends.